Put a pan of salted water on to boil with a tablespoon of stock powder. Cut the butternut squash in half widthways, then cut each half lengthways into 1cm wide strips. Trim the top of the fennel and remove the root end, then slice lengthways. Cut the onion in half, without removing the skin, then cut each half into 4 wedges. Put the fennel, squash and onion into a roasting tin. Add olive oil, salt and chilli flakes, shake around, then roast for 30 minutes. 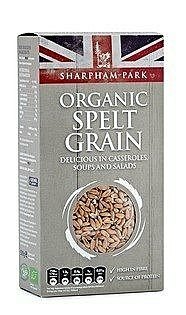 Pour the spelt grain into the pan of boiling water and cook on a medium heat for 30 minutes, it will still have bite when cooked. Drain the spelt and dress with the mustard, oil and vinegar. Adding salt and pepper to taste. When the veg is cooked and caramelised, take out of the oven. Remove the skins from the onions and and break the petals apart. 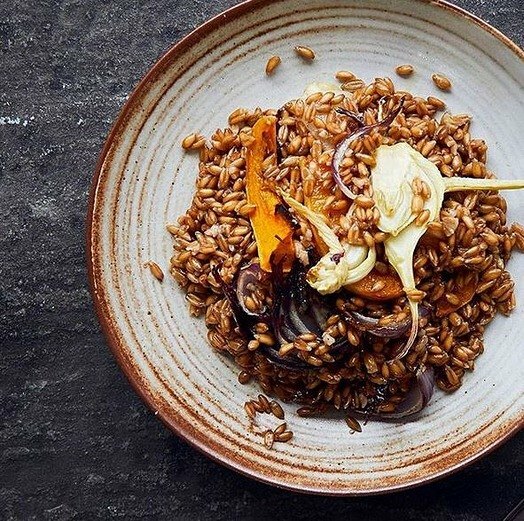 Combine the roasted vegetables with the spelt, taste and season, then serve.